Love cages, and we all have one or two. You can use them for so many vignettes, this is one idea. 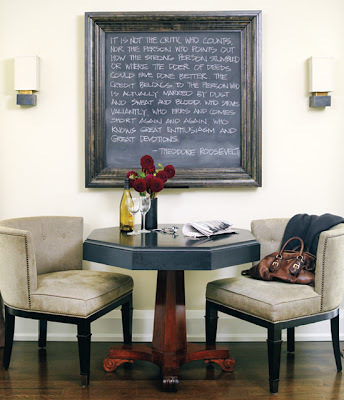 Another inspiration is to use chalkboard paint in different places. How about this? sweet? This is a cute bedside vignette, so homey and cozy. We all have old books, a lamp, a bouquet of fresh flowers, and you make your house a home. 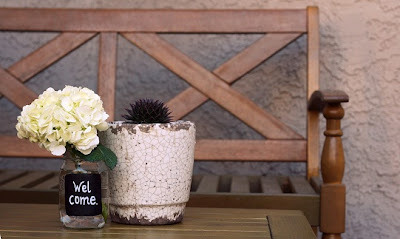 Make a display with an old spoon, a dried flower and a candle.